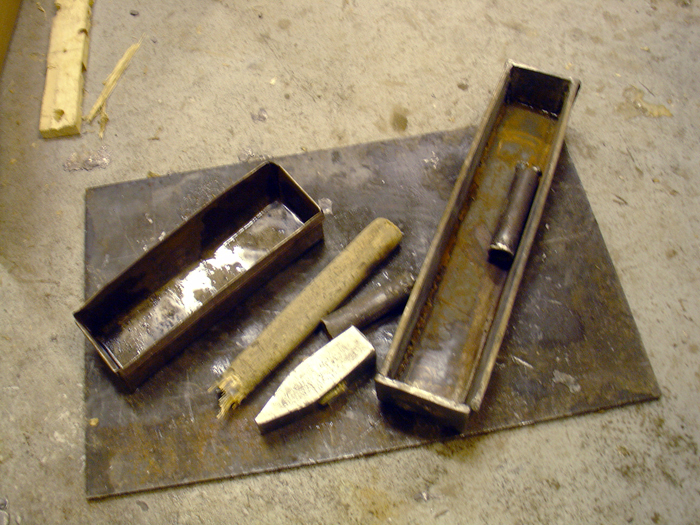 Releasing the ingots from the form had its toll on the tools. The form, on the right, lost both handles, its general shape and vigour, cracked a wall. A hammer snapped, the workshop floor suffered some damage and a second, scrap metal form was damaged.